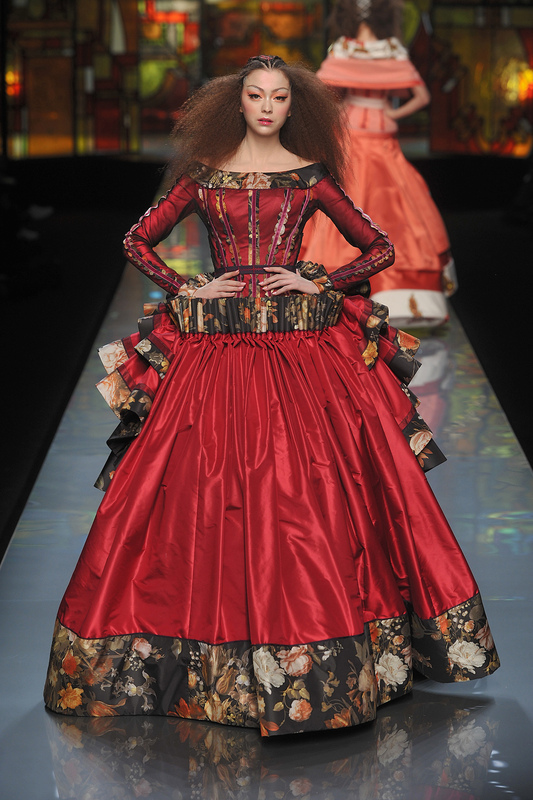 The Dior by John Galliano Couture Spring/Summer 2009 Show was inspired by Dutch and Flemish painters. Another Netherlands-inspired collection : Louis Vuitton by Marc Jacobs Autumn/Winter 2007-2008 (the Flemish berets and the colors of this show paid tribute to Dutch and Flemish painters). I feel like this is missing something…ah yes, a large white steed prancing down the runway next to her. That would be so chivalrously gorgeous ! So restrained, yet so flamboyant. Rich and deep coloring. Amazing. Oh this colour! I agree that she’s missing a prancing steed, or maybe even a knight in shining armour, but with that gown I think she’ll be better off with a sword! Like a majestuous Lady of the Lake ! Thank you for your poetic yet realistic comment ! This dress has great proportions and fabrics! Absolutely, thank you ! These elements truly add a gracious and solemn feel to this magnificent gown ! J'aime cette chansonsette du Bossu de notre dame. J’ai vu la lumière du Ciel."